Found this little guy this afternoon while walking on the beach with my daughter. He's missing his tail but still looked kind of cool. 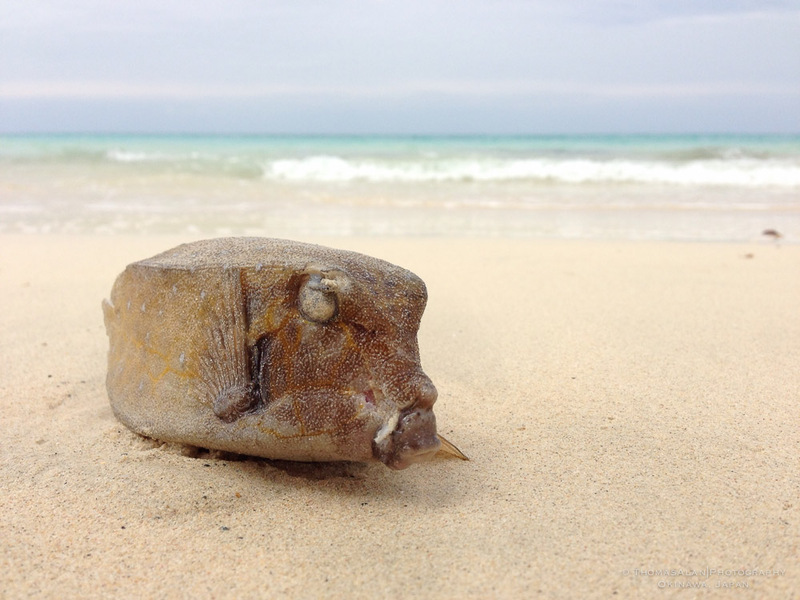 Washed up Puffer Fish on the beach in Okinawa, Japan.